We are here and not here, between moment and memory, as generations turn. Memory is momentary in each mind, but it flows through the body we share. Storyteller and scholar, devoted disciple and uncommon companion, David Chadwick has kept us in touch with one another and the living history of our communion. No one has helped us keep together in time more closely. No one has loved our teacher more deeply. Let’s give David a hand to carry on this work. Let’s give thanks along the way. This work has been going on since around 1988 when I started writing material that was used in Thank You and OK: an American Zen Failure in Japan. 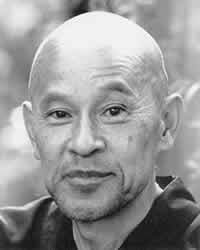 Shunryu Suzuki's quiet, low keyed style makes it easy to overlook the fact that he was one of the most important twentieth century teachers in introducing Soto Zen Buddhism to America. It is a great good fortune for posterity therefore that he has in David Chadwick an indefatigable chronicler, a veritable Boswell when it had appeared that that breed had vanished. Chadwick's archive of Suzuki's oral teachings as his students remember them and often inscribed them in their diaries will be invaluable to future historians as they record the coming of Buddhism to the West. His project merits strong support. Regional Oral History Office, Bancroft Library, UCB. Dr. Lewis Lancaster, East Asian Studies, UCB. Buddhist Studies Program, SF Zen Center.